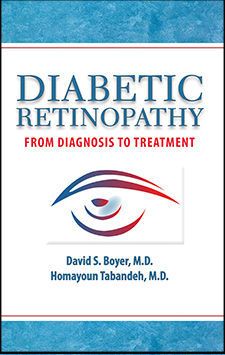 By Homayoun Tabandeh, M.D., David S. Boyer, M.D. Homayoun Tabandeh, M.D., David S. Boyer, M.D. If you have Type 1 or Type 2 diabetes, you’re at risk for diabetic retinopathy, the most common eye disease among those with diabetes. Affecting more than 5 million Americans, the disease is caused by damage to the tiny blood vessels of the retina as the result of uncontrolled blood sugars. It is a leading cause of blindness. Diabetic retinopathy cannot be cured, however the onset can be delayed and the risk of progression can be reduced by keeping tight controls on glucose levels and making the right lifestyle choices.